There is interesting research coming out of New Zealand that is looking at the relationship between sleep and childhood obesity. The article below was published in and of interest in improving infant sleep for long term health benefits and in particular reducing the rates of childhood obesity. When the infants were about three weeks old they were visited at home to see how sleep was going. 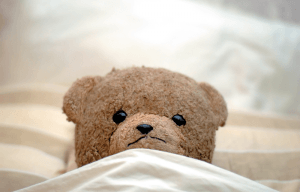 The researchers talked to parents about assisting their child with sleep by learning to recognise signals from the baby that they were tired, and then encouraging baby to settle themselves to sleep. If a sleep problem developed, expert support was immediately available until infants were two years old. About a quarter of parents took up this support. At Caroline’s Angels, we are very interested in the long term health benefits of sleep for babies and children. As health professionals we want to support parents and other health professionals to improve a baby’s sleep while supporting their mental health for a lifetime of benefits, not just immediate relief for the parents and babies. It is important that we offer parents acceptable choices to addressing their child’s sleep so that this is implemented with both more ease and support that parents have experienced in the past. 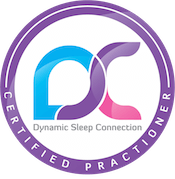 At Caroline’s Angels we implement our Dynamic Sleep Connection™ infant sleep model. This is based on a set of underpinning principles for healthy sleep that a parent applies to their own unique child. This has been likened to the complete opposite of controlled crying methods. 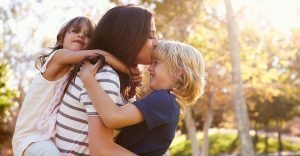 That by nurturing and supporting a child while offering change to sleep and settling is beneficial and the child is able to learn how to settle more independently. When the foundations of healthy sleep are addressed, the side effect is improved sleep.